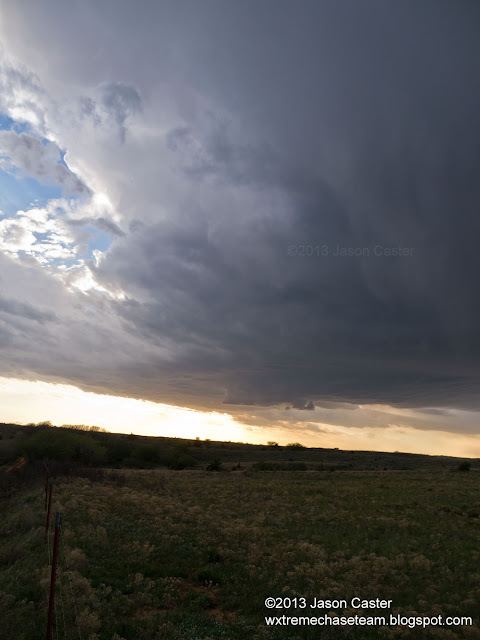 On Tuesday Jason headed up to the Woodward area on a marginal setup in hopes that the RAP model would be correct in projecting a late afternoon supercell. At around 5pm a cell started to form just NW of Woodward. The cell was slow moving so I was able to find a good vantage point and watch the evolution of the storm. My first exciting moment of the day was the formation of a slightly active wall cloud which was unexpected. 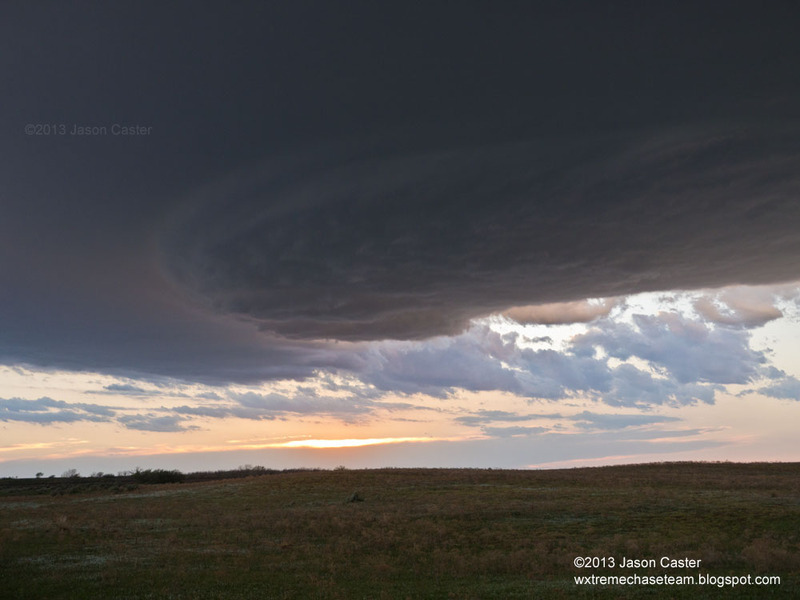 The storm continued to mold itself into a very photogenic structure as it turned southeast. 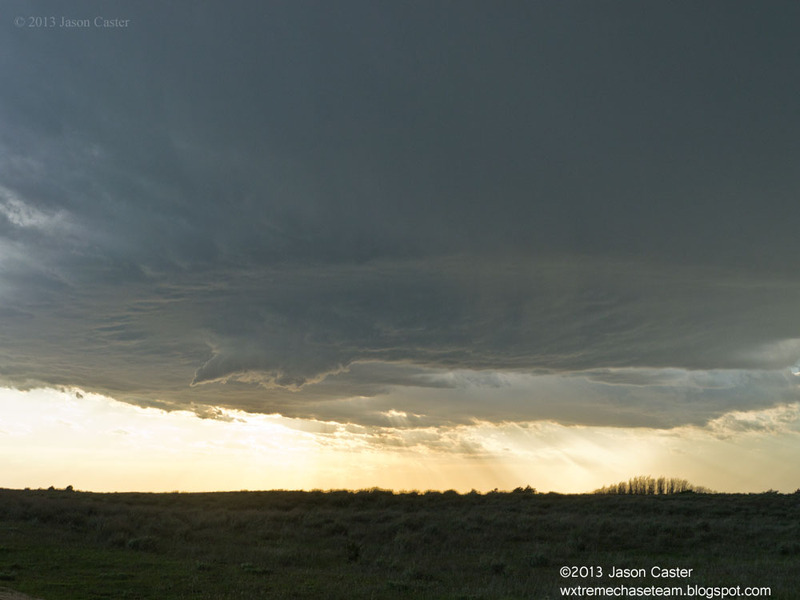 Eventually the storm took on a stacked pancake form just as the sun sank below the horizon.